Lynn Symansky and Donner at Pau. Photo by Jenni Autry. That’s an understatement. 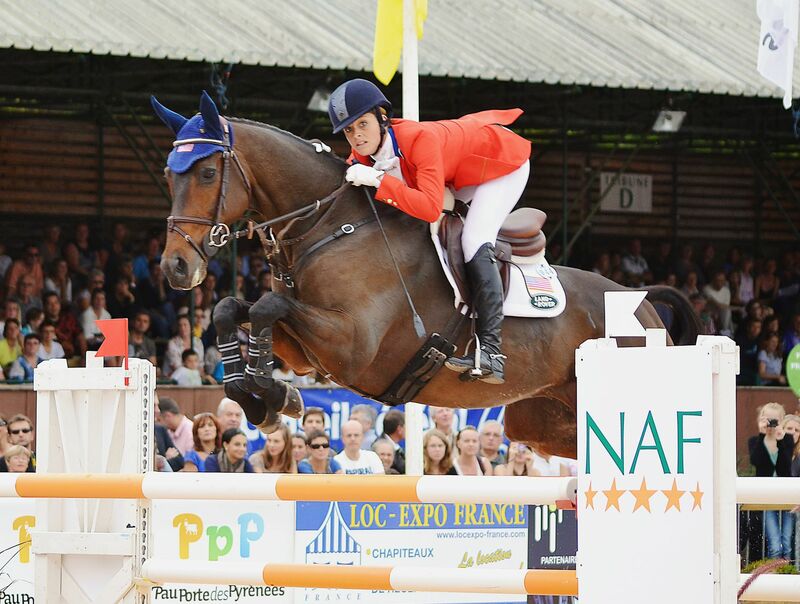 After a double-clear trip in his four-star debut at Rolex last spring, Donner then went to Pau last fall and had the fastest double clear across Pierre Michelet’s course. If you start ticking through the U.S. WEG hopefuls, the list of horses with two double clear cross-country runs in their last two four-stars isn’t a long one. With that in mind and the fill in the ankle throwing a bit of a curveball at her spring plans, Lynn has been making the most of it by focusing on dressage, with the end goal being WEG or Burghley later this year. “He had a little bit of a break after Pau, but not much because he doesn’t do well with a lot of time off, so we’ve been hacking and flatting,” Lynn said. “I’ve been really working on having some more tools in the ring for tension. I’m never going to get rid of his nerves, and when those come out, his trot gets less than it is. It actually is a nice trot; it’s just being able to show it. He’s not a 10 mover, but he can move well enough.” Donner scored 54.8 and 53.3 on the flat at Rolex and Pau, respectively. Go Lynn. Go Donner. Go Mouse.